On a late night, you walk into your room to see your computer screen flickering. As you move closer, you see the faint indications of your Kickstarter campaign. With panic in your heart, you move to the keyboard to see if there is still a pulse. Nothing! In an act of desperation, you press your lips against your computer screen and begin mouth-to-mouth resuscitation. After several futile attempts and salvia dripping down your screen, you decide there is nothing left you can do for your campaign… Your campaign is declared dead. LIFE SAVING TECHNIQUE #1: Get the emails of your current backers– If there is one flipping thing you do from this list, it is this step. Get. Your. Backers. Email addresses! It does not matter if the project is going to fail miserably or succeed. If you fail, that backer list will be the most valuable asset when you relaunch. When you launch again, it will serve as an email list to reach out to on the first day to get traction, that traction will get you more backers because of the Kickstarter algorithm, and most importantly you can use that list to build a Facebook look-a-like audiences to target. Facebook look-a-like audience marketing is the #1 ROI Kickstarter marketing tactic. No matter how many times you fail, always get the backer list! You can do this by making a simple Google survey and blasting that survey out to your backers on your Kickstarter campaign page. Your greatest asset is the people currently supporting you! They want to see you successful. They are throwing money at you before you have even developed a product, that is dedication. So incentivize them to share and evangelize your project. One of the best tools I have found to do this is Kickbooster.me. Kickbooster allows you to set up an affiliate program. It allows for you to give a kickback to anybody that helps you make a sell. Use this powerful tool, or figure out how to make your own affiliate program. LIFE SAVING TECHNIQUE #3: Upsell to your current backers– Like I said above, your current backers are your greatest asset. One of the best things you can do is offer some sort of upsell or add-on deal to your current backers. You can facilitate these easily by just having them add a certain amount to their current pledge, then use Backerskit.com to manage the extra money they added to their pledge for upsell items. LIFE SAVING TECHNIQUE #4: Tap into serial Kickstarter backer groups– I have found that using groups like Backerclub.co and Backershub.com to be some of the best bang for your buck. It gets your project immediately in front of backers ready to back. LIFE SAVING TECHNIQUE #5: Refine and adjust your current PPC marketing– Some times there are just problems with the way you are targeting. The #1 golden rule to Kickstarter paid marketing is making sure your marketing is getting in front of people that know what Kickstarter and crowdfunding are. The second your target audience gets diluted with people who do not know what crowdfunding is, you start losing money, a lot of money. Constantly be running mini experiments. Track your ROI! Here is a mini training to the #1 way to track ROI on Kickstarter. Click here. LIFE SAVING TECHNIQUE #6: Cross promo like nobody’s biz-naz– If you are trying to bring your campaign back from the dead, it is time to go Rambo style on cross promos. You need to start reaching out daily to 4-5 campaigns to cross promo your campaign in their next update. You usually make this happen by doing the same for them. Although this does not usually bring in a ton of sales per each promo, it is a start, and done over time with enough campaigns it can make a significant difference. Be cautious to not get shut down for spamming. LIFE SAVING TECHNIQUE #7: Grassroots PR & influencer hustle– One of the things you can do that you have in your control is PR and influencer promotion. During my first campaign, I spent hours each day spamming and contacting PR and influencer outlets. It does not do anybody any good to use email blasters and straight spamming tactics. You need to write out individual emails to these outlets. You need to personalize them and tell the outlet why their audience will benefit from knowing about your project. When you have this mind frame, the amount of PR deals you seal sky rockets. I will warn you, this takes a lot of time. If you do not have the time to do this yourself, I highly recommend brining on a professional team like PRmediaNow. They can do this a hundred times more effectively than you can. Check them out here. LIFE SAVING TECHNIQUE #8: Consider bringing on a marketing firm– Desperate times call for desperate measures. A backer list is the most important asset you can have. If gaining that list means bringing on a firm that shafts darn near all your margins, it might be worth your consideration. I have found that my Kickstarter list converts at around 15% on future projects. Meaning, if I have a list of 10K backers, on future projects at least 1.5K of those backers will back future projects. That list is so valuable. I recommend considering Jellop or Funded Today. 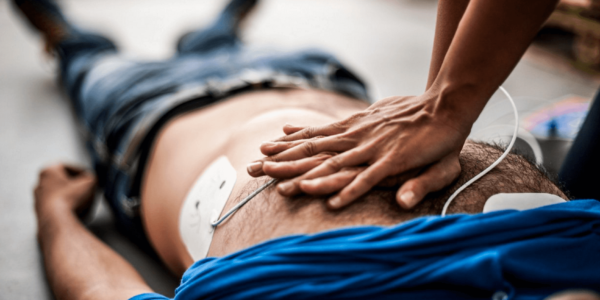 Although these life saving tips are extremely valuable, there is much to say about never getting your campaign into this situation in the first place. Just like a life time of eating healthy can help prevent future heart failure, there are several preventive measures that can be undertaken long before you launch a campaign, that will prevent the early death of your Kickstarter. One of these preventive measures is adequate customer validation. The purpose of adequate customer validation is to ensure (1) you pursue an idea that will make you money and (2) prevent you from chasing an idea that will fail. The most important principle to a great customer validation method is that the method must cause your customers to actually pull out their wallets to make a transaction. Anything less than this is a gamble and jeopardizes the chances of your success. Surveys, feedback groups, questionnaires etc. are very dangerous unless those groups are filled with actual paying customers. In our Ultimate Kickstarter Success Guide we go over exactly how to conduct an effectively conduct customer validation. Our methods have proven to be 100% accurate and we continue to see success from applying them. I encourage you to immediately try the principles we discussed above if you have a struggling campaign. I have used them to help many campaigns in the past. 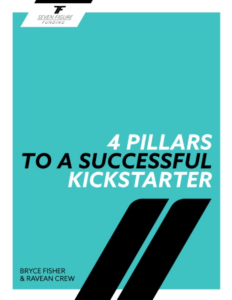 I also encourage you take the time to check our Ultimate Kickstarter Success Guide. It is a comprehensive course that teaches how to launching a 7-figure Kickstarter campaign. Hope that helps! Please leave your feedback and comments below and let us know future topics you would like us to discuss. Weekly startup, Kickstarter, and crowdfunding tips.